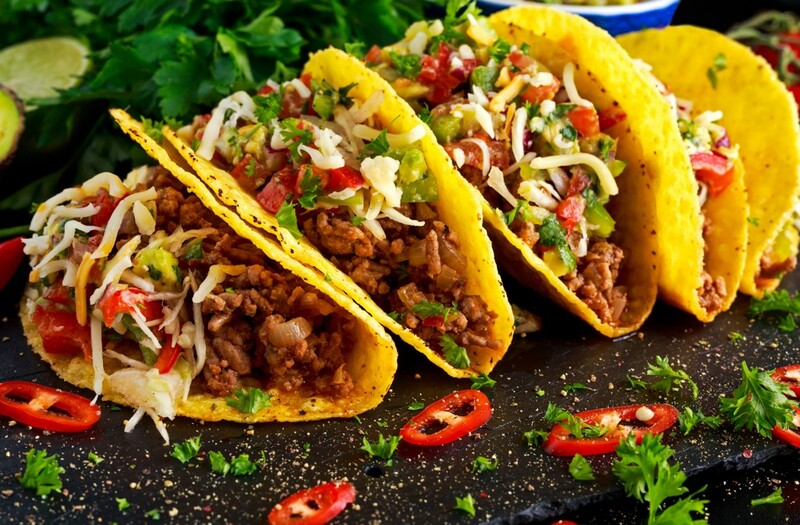 These delicious tacos are a firm favourite with all the family and a great way to get the kids eating their vegetables! Heat some olive oil in a pan on a medium heat, Add the beef and cook until browned on the outside. Add the onion, chilli, garlic, peppers and continue to fry until softened. Add the spices and the tomato puree, mix well and cover, allow to cook for 8-10 mins until beef is fully cooked through and veg is soft. Place 3-4 spoonfuls of the beef mix into a taco shell/tortilla. Add some chopped tomatoes and lettuce. Add a generous squeeze of taco sauce and top off with a sprinkle of grated cheese.